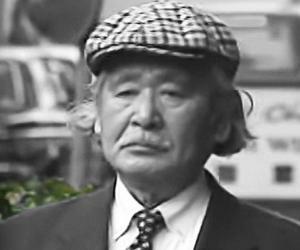 Hideki Tojo was the 27th Prime Minister of Japan. Check out this biography to know about his childhood, family life, achievements and interesting facts about him. General Hideki Tojo was a Japanese soldier, statesman, and wartime leader, who eventually became the 27th Prime Minister of Japan. He held various high ranking positions such as the General of the Imperial Japanese Army and leader of the ‘Imperial Rule Assistance Association’ over the course of his military career. He spearheaded most of Japan’s military operations in the Pacific War during the Second World War, including the infamous attack on Pearl Harbor which resulted in the United States’ entry into the war against the Axis powers. Tojo was definitely one of the most prominent figures in the Empire of Japan, especially during the 1930s. He was known as a shrewd bureaucrat who was extremely critical about fine details. He was an integral part of Japan’s invasion into Manchuria and advocated further expansion into the Chinese country. Following Japan’s and the Axis’ defeat in the World War 2, Hideki Tojo was arrested and sentenced to death for Japanese war crimes by the International Military Tribunal for the Fast East. He was executed by hanging in 1948. Hideki Tojo was born in Tokyo on December 30, 1884 to Hidenori Tojo, a Lieutenant General in the Imperial Japanese army. His family was of the Samurai caste, and he, like his father and ancestors, was trained to become a soldier. During that time in Japanese history, all young boys were taught that fighting for their country in wars was the greatest honor one could ever achieve. One of Tojo’s biggest role models was the 17th century Shogun Tokugawa Ieyasu. Tojo studied in an Army Cadet School and graduated from the Japanese military academy in 1905. Hideki Tojo was commissioned as a second lieutenant in the infantry of the Imperial Japanese Army (IJA) in March 1905. At that point in time, the Treaty of Portsmouth had been signed between America, Russia, and Japan. The majority of the Japanese citizens were not in favor of this treaty as they felt that they had been cheated by America. The bias in the treaty led Tojo and the general Japanese public to deeply resent the Americans. As the years wore on, he was transferred around the world due to his commitments to the army. He briefly served in Siberia, Germany and even took a small trip to the United States where he was severely critical towards the culture and lifestyle which were practiced by the Americans. 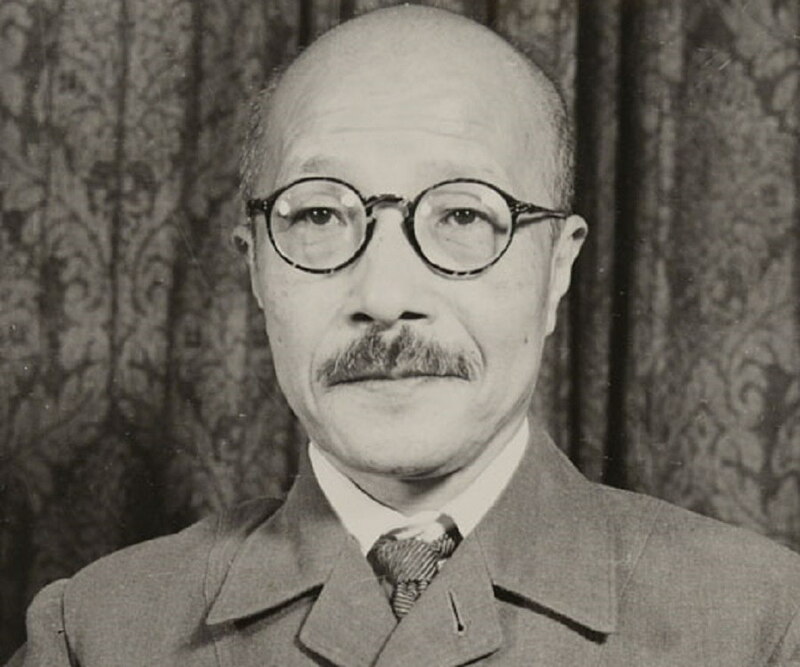 Tojo was a workaholic and believed in strict discipline. Tensions between America and Japan worsened with the Immigration Control Act passed by the US Congress which banned all Asian immigration into the US. In the year 1928, Tojo was appointed as Bureau Chief of the Japanese Army, and within a short period, he was immediately promoted to the rank of Colonel. His social reforms were to uphold the Traditional Japanese Kokutai and eradicate what he called ‘Western decadence’ from Society. 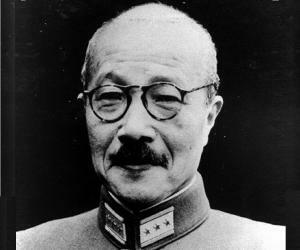 Hideki Tojo became a major general in the year 1934 and also took on the position of Chief of the Personnel Department within the Army ministry. His personal intention was to turn Japan into a totalitarian ‘national defense state’ as he termed it in his writings. Tojo was one of the country’s leading advocates of Japan’s tripartite pact with Germany and Italy. He recognized the importance of controlling as much of the East as possible, and hence invested in heavy operations for the conquest and expansion into the Chinese mainland. In July 1940, Tojo was appointed as Minister of War in the cabinet of Prime Minister Konoe Fumimaro. As army minister he continued to expand the war with China. After the resignation of Konoe Fumimaro, Tojo held the post of the Prime Minister of Japan from October 1941 to July 1944. During this period, he also held the positions of Home Minister (1941-42), Foreign Minister (September 1942), Education Minister (1943) and Minister of Commerce and Industry (1943). As the education minister, he continued to enforce militaristic and nationalist indoctrination in the education system. 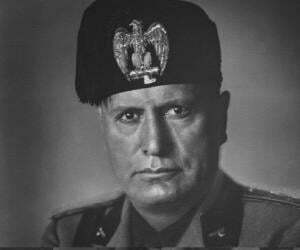 In the government, he continued to advocate totalitarian policies. Tojo gave approval to launch attacks on the United States, Great Britain and the Dutch East Indies towards the end of 1941. Japan experienced a lot of victories during the early years of the war and was well on the way to create their own world order in Asia. As the tides of the war turned, Japan underwent several military failures and reversals, most notably in the Battle of Midway which is known by historians and veterans alike as the turning point in the Allied invasion of Japan. The Japanese were pushed back further from the mainland and their control over the conquered islands in the Pacific, the Yellow Sea, and the Sea of Okhotsk began to deplete. Tensions grew within the Japanese government due to the disarray of the situation. There was a lot of pressure against Tojo as their losses began to mount. After numerous Allied victories on the Western Front and the Pacific, a successful invasion of the Mariana Islands weakened Japan heavily. Tojo was removed as Chief of Army Staff in July 1944, following which his entire Cabinet announced their resignation. 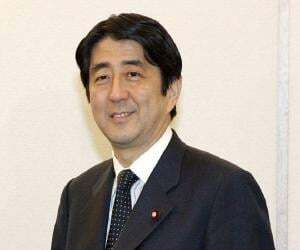 Within a matter of days, he was ousted from the post of Prime Minister and replaced by Koiso Kuniaki. Nearly all of Tojo’s powers were stripped and he spent the remainder of the war in the military reserve. Following the infamous bombing of Hiroshima and Nagasaki, Japan formally surrendered in September 1945. Tojo attempted suicide via gunshot but failed and was nursed back to health by 1946. Tojo, along with several other Japanese leaders, underwent trial by the International Military Tribunal for the Far East in Tokyo. He was found guilty of numerous war crimes and sentenced to death by hanging. 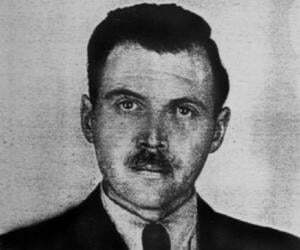 His execution took place on 23rd December 1948. The Western world strongly holds the notion that Hideki Tojo was an outright war criminal, but his image in Japan definitely differs. According to his descendants, he was treated unfairly and he only had the best intentions of his country and people in mind. 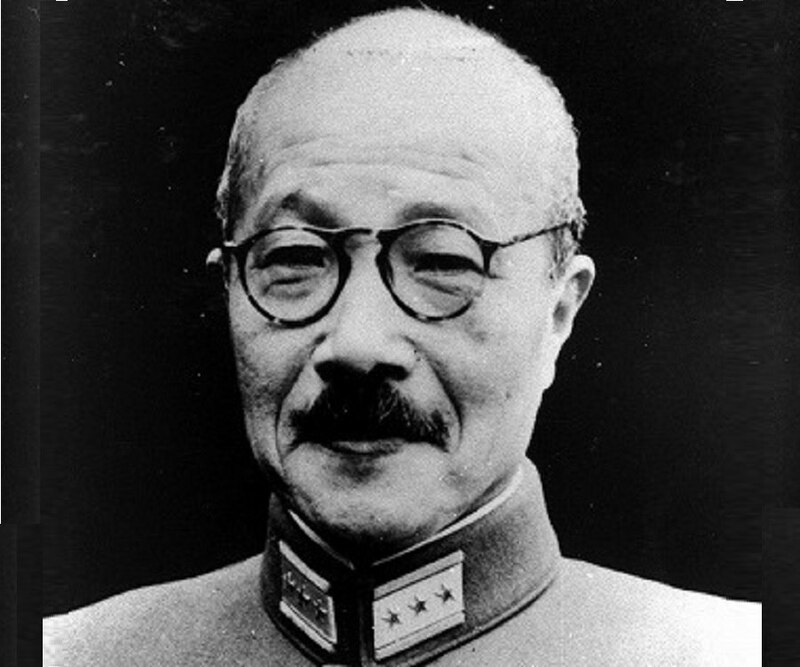 To a certain degree of outrage in the west, Tojo is frequently portrayed as a national hero in movies in Japan. His tomb is located in a shrine in Nishio, Aichi. Hideki Tojo married Katsuko Ito in 1909. The couple had three sons and four daughters.